Don't Miss Being Part of the Family! May 10th and 11th - Tickets on Sale Now! Welcome to the RMS Drama Website! We invite to you show your support for our talented young artists. The Happy Herald congratulates West Side Story - see the story on Page 13! 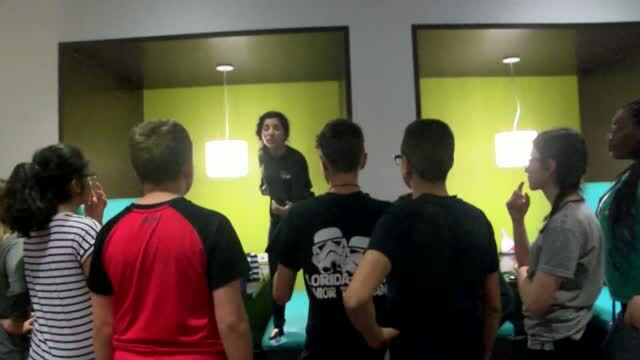 Coral Springs Talk features RMS Production of West Side Story. Coral Springs Talk features RMS on their homepage, read the article about this amazing troupe here! See the NBC6 "Brag About Your School" segment featuring Ramblewood MS Here!! Way to Go Raiders! RMS Drama was featured in a City News magazine article, click here to read about their adventure! Making 'School News' in the April Edition of The Parklander, click here to read more! Click here to see our exciting calendar of events including rehearsal and performance dates! Support the RMS Drama Department. Your involvement, no matter how big or small, is invaluable to us and helps ensure that the RMS Drama Department continues to provide quality creative experiences and opportunities for our children. Become a Sponsor, click here for more details! Website Comments, Questions, Corrections, Please email rmsdramarocks@gmail.com.